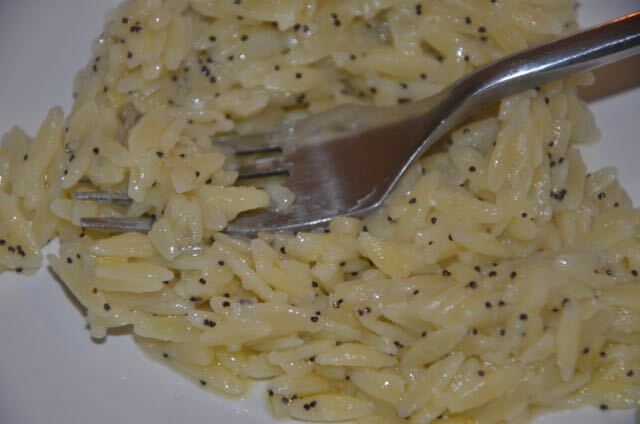 I love a good risotto as much as anyone, but sometimes I just can't be bothered with all the stirring. Don't get me wrong... There are times when I welcome such a task for spacing out, decompressing from the troubles of the day and relaxing, but occasionally I just need something quick, comforting and easy. This pasta version of a risotto is just that - in fact, it practically makes itself. Using orzo pasta instead of rice means there's very little stirring and none of that messy business of adding ladle upon ladle of stock or broth. 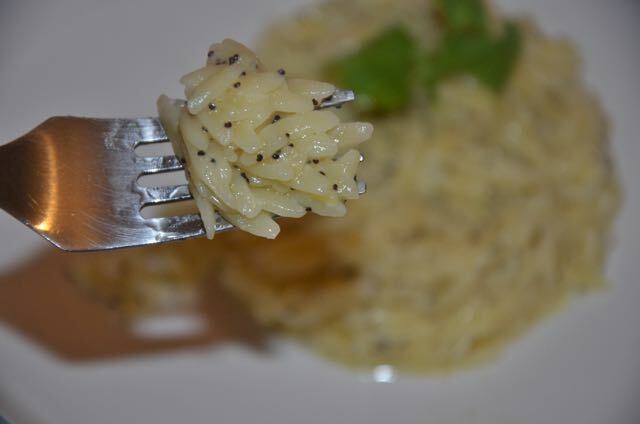 I love the simplicity of this Lemon Poppyseed Pasta Risotto dish and it works beautifully as a starter or first course at a dinner party. Though I have been guilty of sitting down with just a bowl of this for lunch, for dinner it would best be served alongside some chicken, roast or grilled vegetables or a roasted fillet of fish. However you choose to serve it, my preference (which is totally optional) is to finish it off with a light sprinkling of sea salt flakes for a few extra little pockets of tasty crunch. 1. Heat the oil in a large, heavy based pan or flame-proof casserole with a lid. 2. Cook the shallots until tender, about 5 to 10 minutes, stirring regularly but not constantly. 3. Add the pasta & lemon zest and stir until it's all coated in the oil for about a minute before pouring the boiling water over the pasta. 4. Bring to a boil before reducing the heat to low. Stir, cover and leave to simmer for 10 minutes, stirring a couple of times throughout. If necessary, add more boiling water from the kettle should it dry out before the pasta is fully cooked. When it's done, it should look a bit gooey from the starchy water soaking in and should be fully cooked. 5. 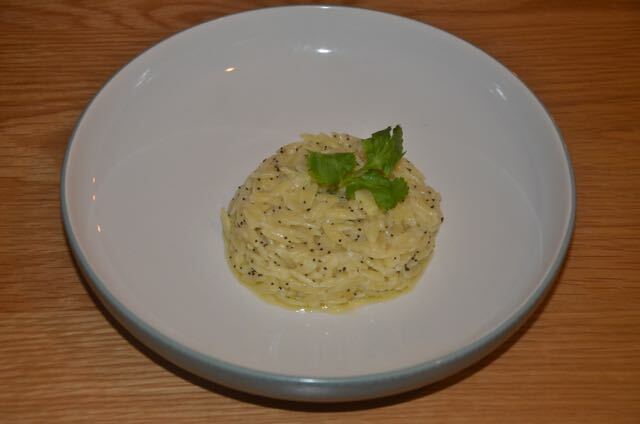 Remove the pasta from the heat and beat in the butter, poppy seeds and parmesan cheese. Add the lemon juice a little at a time, tasting between additions to ensure it's not too bitter. Sprinkle with sea salt to taste and serve hot on warmed plates or bowls.